The kitties we share our homes with still walk on the wild side. 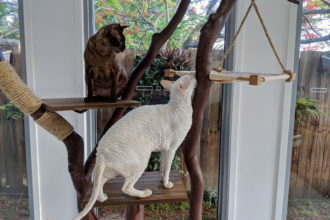 If you’ve ever watched your cat stalk an unsuspecting moth or appear as if from nowhere to pounce upon a catnip mouse, you may have suspected there’s something still a little wild about the pet you share your home with. And you were right. 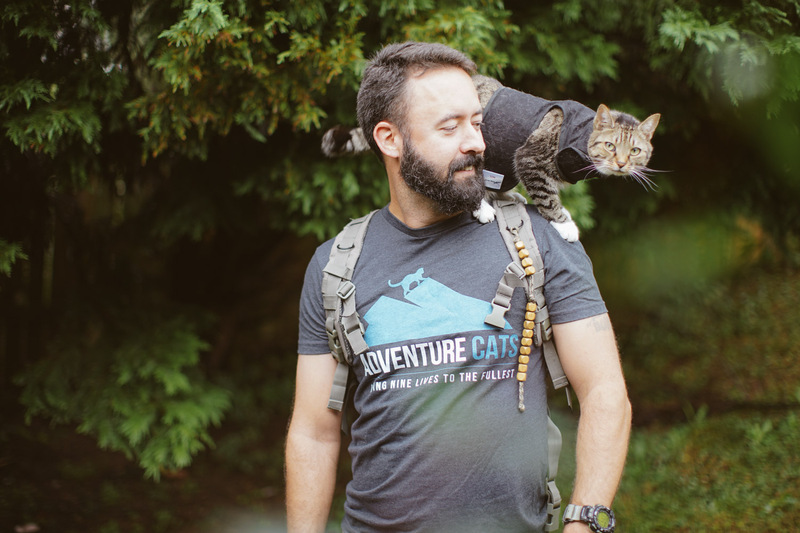 In 2014, scientists discovered that as few as 13 genes may separate our feline friends from their undomesticated kin and that our pet cats retain many of the same characteristics as wild cats, including hunting, sensory and digestive traits. So how can you provide your little house panther with a lifestyle that taps into this wild heritage? Read on to find out. Our kitties’ behavioral needs are similar to that of their undomesticated ancestors, and what do wild cats do? They hunt. While you certainly don’t want to set up an actual hunt in your home, there are several ways you can indulge your cat’s hunting instincts. One way to do this is to purchase an interactive toy like a feather wand, laser pointer or fishing-pole toy and make the toy mimic the behavior of prey. Move the dot of the laser quickly across the floor like a scurrying mouse or bounce the feathery end of the wand through the air like a bird. 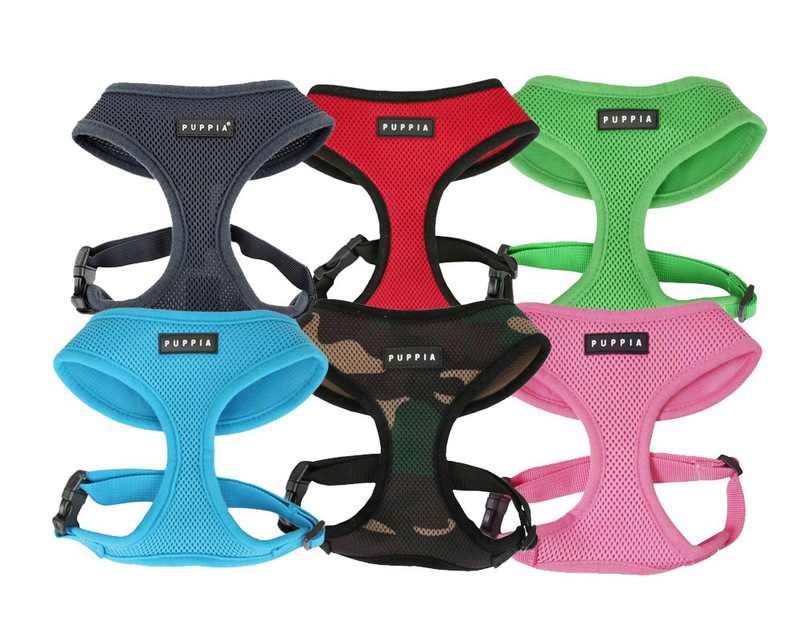 Your kitty won’t be able to resist giving chase. 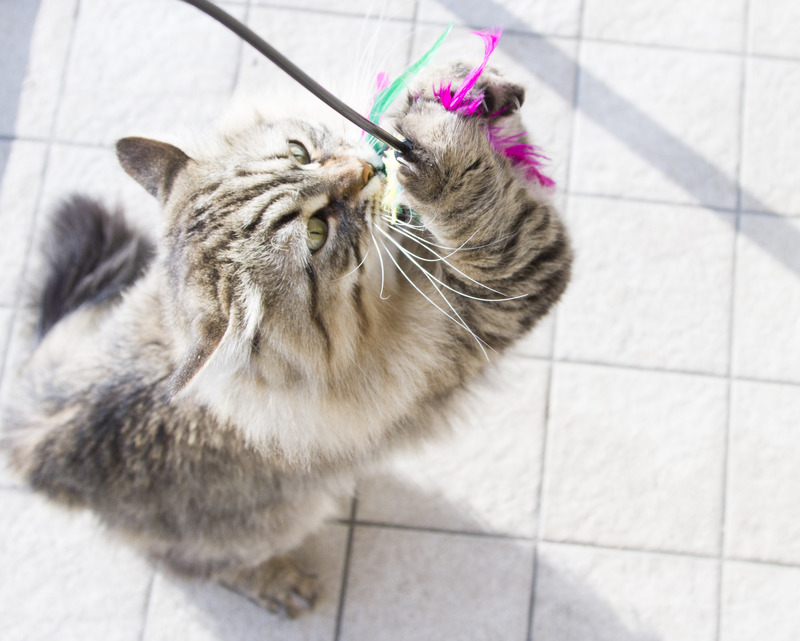 Try different types of toys to see what captures your cat’s attention, and make playtime a daily occurrence that you both enjoy. 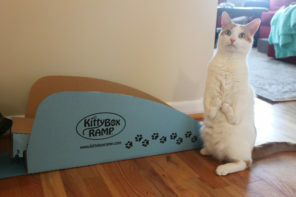 And you can help your kitty stay active even when you’re not home by incorporating a puzzle feeder, a toy that encourages cats to work for their food, into your pet’s daily routine. 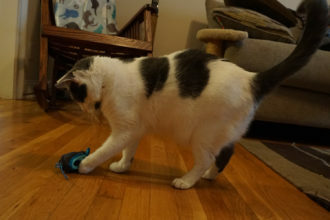 These toys tap into those natural hunting instincts, and have been found to alleviate a variety of health and behavioral issues common in indoor cats. 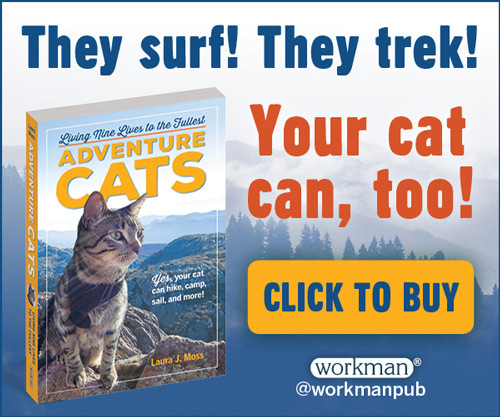 For the health and safety of your cat — as well as for your own piece of mind — it’s best to keep your kitty inside. 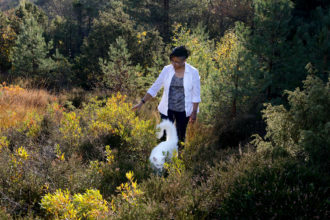 However, the indoor-only life can be tough on an animal that’s not fully domesticated. 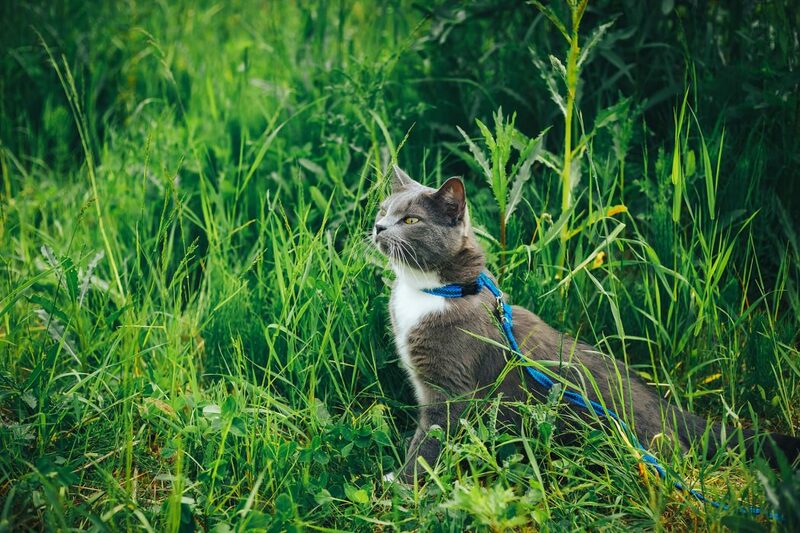 Felines need to be physically active, as well as mentally stimulated, to live happy, healthy lives, and the sights, sounds and scents of nature may be just what your indoor kitty is craving. 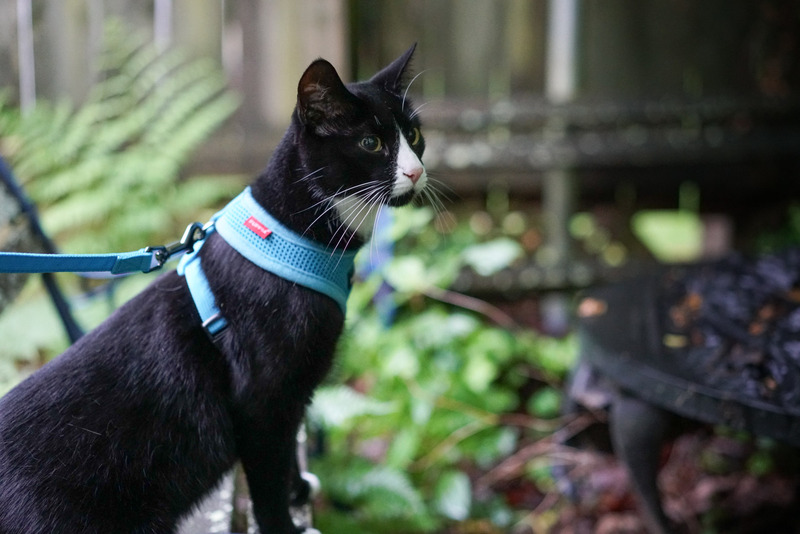 There are numerous ways your kitty can safely experience the great outdoors: on a leash, in a pet stroller or in an outdoor enclosure known as a catio. However, before you set a paw outside, talk to your veterinarian and be sure your cat is microchipped, vaccinated and up to date on flea, tick and heartworm medications. 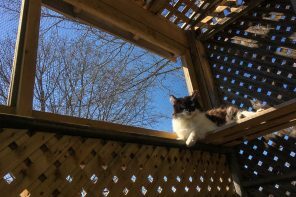 You can also keep your cat safely indoors while providing him with some natural entertainment by setting up a “cat TV.” Install a window perch or place a cat tree beside a window, so your kitty can watch the world outside. You may even want to place a birdhouse or birdbath outside to enhance your feline’s viewing pleasure. Cats are obligate carnivores, meaning they derive their energy and nutrient requirements mostly from meat. In the wild, they hunt their own food and naturally consume a diet that’s high in animal-based protein and extremely low in carbohydrates. However, take a stroll down the cat-food aisle and you’ll find that much of the kibble marketed for felines is actually quite high in carbohydrates like corn, wheat and rice — and rather low in protein. So when you’re selecting a cat food, read the ingredients list and look for foods that would most closely mimic a cat’s natural diet, such as Dr. Elsey’s cleanprotein™, a high-quality food inspired by the protein levels found in felines’ natural prey. 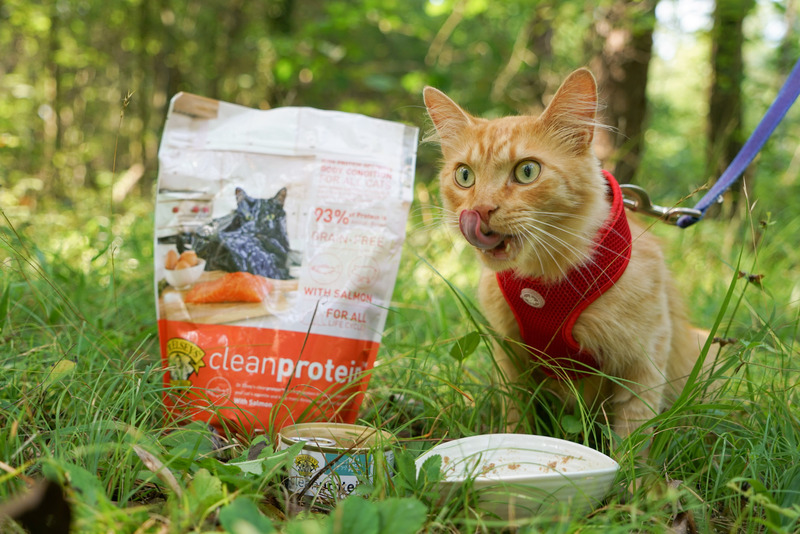 Available in both dry and moist varieties, Dr. Elsey’s cleanprotein™ helps cats maintain an ideal weight and body mass and promotes an active lifestyle. Just like on your own food labels, ingredients in cat food are listed in order of quantity, so read the nutritional information closely. If the first item on a cat food label is listed as salmon, for example, then you know the food’s chief ingredient is salmon. In other words, it’s high in protein and likely a good choice for your feline friend. This article was sponsored by Dr. Elsey’s cleanprotein™. 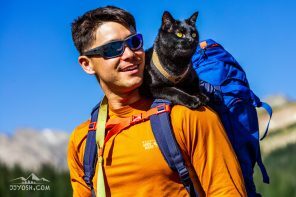 What’s it like to backpack with a cat?